Vice President Chief/ Dr. Jewel Howard-Taylor in a group photo with kids. Monrovia-Liberia - Liberia’s Vice President Chief/ Dr. Jewel Howard-Taylor has spoken with group of children of the Kids Educational Engagement Project-KEEP, encouraging them to continuously exhibit integrity and honesty at all times. 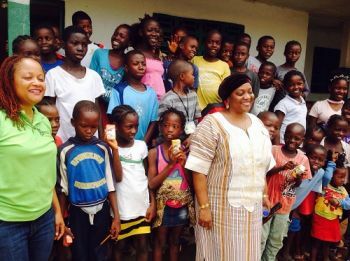 Madam Howard-Taylor, who was recently named as Literacy and Education Ambassador by ALFALIT Liberia, was welcomed by the kids to one of the reading rooms of KEEP. The Kids according to a release from the office of the Vice President were excited to meet and listen attentively to the first Liberian female Vice President as she read a book on integrity. The released said, the kids grilled Madam Howard-Taylor on various applications of integrity and honesty in their daily lives during her friendly engagements with them. The move by the Vice President is in furtherance of President George Weah’s agenda to prioritize Early Learning and adult illiteracy Programs in pre-schools and local communities. The Kids Education Engagement Project (KEEP) is a local civil society organization with the objective of campaigning to promote accountability in Liberia's education sector. The group is working with schools in three counties including Grand Gedeh, Gbarpolu and Montserrado in a bid to ensure greater accountability and transparency in the country’s educational sector. 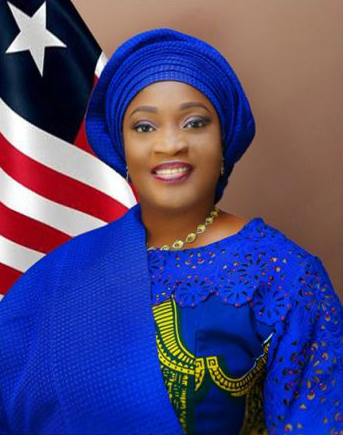 In a related development, Vice President Jewel Howard-Taylor is expected to host an All Day Out fest with young girls from diverse background at her residence in Monrovia. The Vice President is also expected to take the group of young people to a cinemas based in Mamba point. The event takes place this Saturday June, 9, 2018.